Chicago Pilot Productions you’re welcome to Ask to Join. Cipher TheDemonLord you’re welcome to Ask to Join. SkyEye Music​ TGT Terrorizor340​ Arcadia​ y’all may be interested. Hi I would like to join . Thank you . Michael Harris please answer as best as you can at least 2 out of the 4 questions under Step 1 in the post above. Step 1 yes . Step 2 yes . Step 3 yes . Yes to the first three, and I have great experience with military aviation as a result of twenty-six years of service if that will count for number four. Roger Weber Please click through to the Community and Ask to Join. Captain Laura I thought you’d find this private community interesting and something you may want to join. Dewey Davenport please consider joining! 2) My English is acceptable, I’m not an expert, but I’ve some experience yo speak that. Michael Harris I noticed I had missed you… Please click on the community link and select “Ask To Join”. I’d love to join, but I don’t qualify. I am usually on G+ at least 4 or 5 times a week. I worked in the phase dock on RF-4C Phantoms in Zweibruken, Germany from 77-79. I have had my A&P since 81, and have been teaching my trade since 03 for a local Comm. & Tech. College. I now truly enjoy teaching and introducing our passion to our new mechanics. Yes to all four. Aircraft maintenance engineer for work, aerobatics pilot for fun. Derek Hopkins and Anthony N, please click on the community link in this post and select “Ask To Join”. Yes, yes, yes and a little. I’ve moved a lot of aircraft and aircraft parts on my flatbed trucks… including CAF’s A6M3 tail number X133. Matthew Anthony and Gary Moore I’ll get back to very soon. Most likely tomorrow. May I join up please..
Paolo Viti please click through to the Community and “Ask To Join”. WAYNE GAFFORD please consider joining! Nelson Brown please consider joining! Some time ago 1985-1986, I travelled to ” Rosey Roads ” for equipment installs on various Gruman & McD.AC for Collins Aviation. David Stratton please click on The Google+ Aviation Guild link and “Ask to Join”. We’d be happy to have you join! Curtis Olson please consider “Asking to Join”. Curtis Olson that is fine. The community is weighted towards military aviation at the moment but I want to see other aspects of aviation represented there as well. Hello dear lovely photos! hope you are having a wonderful weekend?? Dave Lamberson I’d like to invite you to join! can you send an invitation to Takako K. Klavier? She has a great affection for aircraft in G+. R M Mills great suggestion! 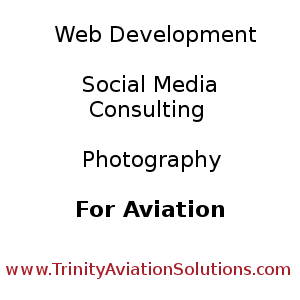 Takako C. Klavier I’d love to have you join this small but thriving aviation community! Just click through the link in the post above and “Ask to Join” The Google+ Aviation Guild. Thank you. I asked for join. glad to have you here & part of the “crew”!! Hi John Chvatal, I’m a bit late to the party. Yet I am keen to participate quite actively, with some of my fellow aviation photographers. By the way thanks for your initiative on this, it sounds like fun. 1) Frequently post on Google+ about aviation or are interested in doing so. I haven’t been around for a while, yet I am now interested and available to do so. 2) Ability to communicate in English. 3) An interest in growing the aviation community here on Google+. I’m sure there are more of us around Google+, so it would be nice to do that here. 4) Have experience in the aviation industry that is demonstrated in some capacity online. I have some experience contributing to the history side of things for military aviation. While I also have some involvement with the Temora Aviation Museum and some of my aviation photography is also available online. Oh and I think I take very pretty aeroplane pictures. John Chvatal and done, cheers. Herpilotyes I’d like to invite you to join this small but lively aviation community. Thank you for the invite. I am flattered. Herpilotyes awesome! Click on through to The Google+ Aviation Guild and “Ask to Join”. Bruce W. Joseph I’d like to invite you to join The Google+ Aviation Guild. Click on through and “Ask to Join”.